Hello, everyone! This is my first post here and I'm a bit nervous. It would be better if I told a few words about me before blogging. So let's go! My name is Anna and I'm a student. I'm keen on cooking and photography which I devote all my free time to. I get real pleasure from the process and kindly smile when my neighbours are knocking at the door curiously moving their noses to catch wonderful aroma of the baking. Yeah, I love baking most of all. A piece of homemade cake with a cup of hot tea or coffee creates amazing atmosphere of cosiness and reminds me of my sweet and careless childhood. Autumn has already come. Not only just solar month but also with cold rainy weather. It's time to spend the weekend at home watching favourite films with Audrey Hepburn and cooking something sweet. And warming from the hot oven while baking a delicious treat. Do you like figs? I have tasted them at first time this year and fallen in love immediately. I buy them at local market almost every day and eat and eat and can't stop. Am I well? I baked them in the oven filling with goat cheese and walnut stuff and wrapping with bacon slices. Cooked jam, a lot of jars of sweet jam for winter evening tea (hope I won't eat it before!). Ate fresh drizzling with honey or maple syrup. 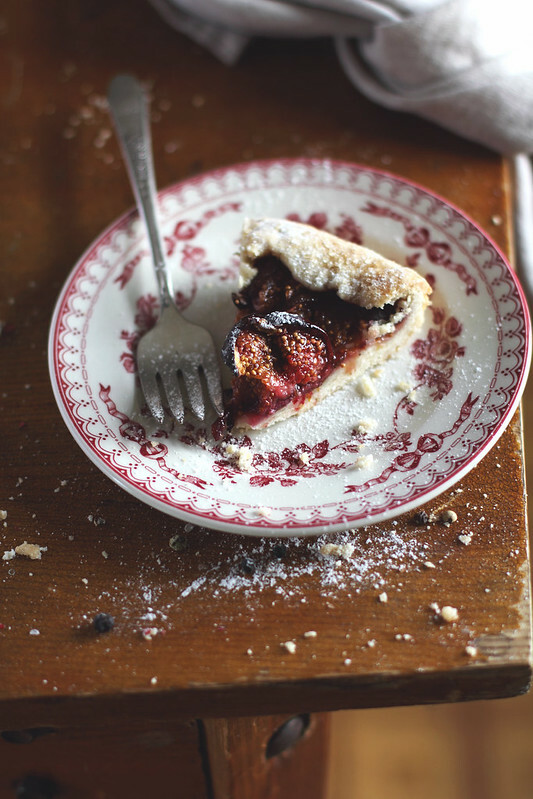 And, of course, made my favourite fig and raspberry galette. This is a good example when summer meets autumn. 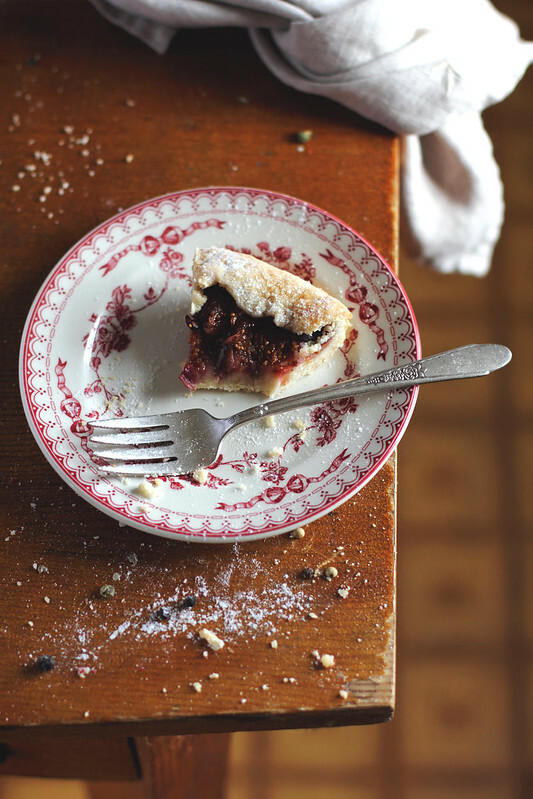 I mean summer raspberry and autumn figs. I must admit that it is a perfect combination. 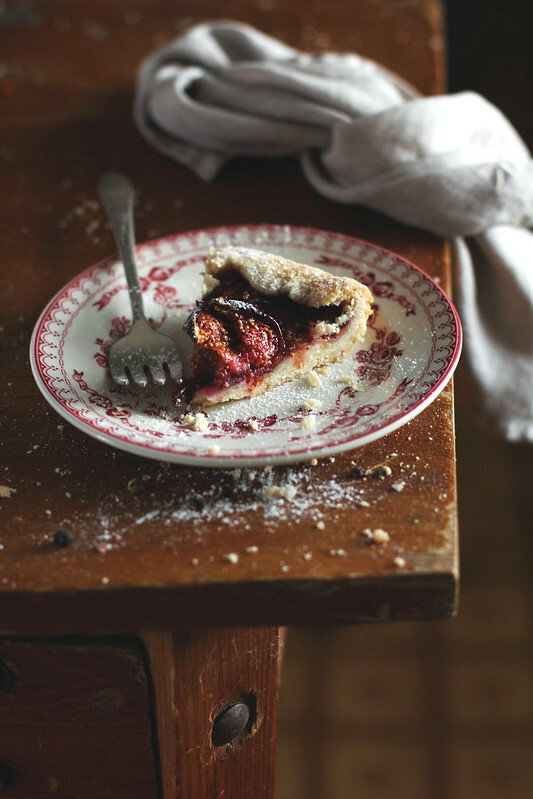 The tandem of sour berries and fig sweetness creates a tasty bunch of flavors. Don't remember about crispy sugared dough. Ohhh...it's worth tasting! I was baking it late in the evening yesterday and this was my fault. It smelt so magic that I couldn't restrain myself and tasted a small piece. Stunning! I was looking forward to the morning to enjoy my breakfast. The galette seems to become more delicious. A big cup of hot cocoa was a lovely addition. Cheerful beginning of the day, isn't it? Process: 40 min. Yield 2. 1. In a large bowl mix flour and sugar. Add butter and make crumbs. Pour in water and knead the dough using your hands. Bring the pastry into a ball and wrap in aliminium foil. Chill for 1 hour. 2. Preheat the oven to 180 C. Dust a worktop with icing sugar and roll the pastry out into a rough circle, about 5mm thick. Place on a piece of baking parchment on a baking tray. 3. 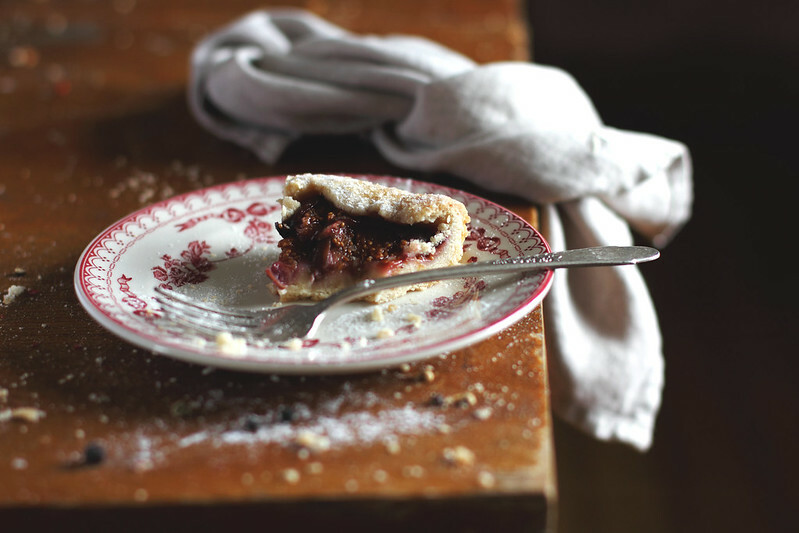 Arrange the figs and raspberries in the centre of the circle, then bring the pastry edges up around the fruit and fold over each other in a sort of pleated fashion. Sprinkle the crust with sugar, then bake in the oven for 30-35 minutes until the pastry is crispy and golden, and the fruit is soft. Allow to cool slightly, then dust with icing sugar and serve with vanilla ice cream. Your galette looks amazing! I love figs. Thank you a lot, Patricia! It is worth tasting. Nice blog - you are courageous to start one from scratch! It looks delicious, and your timing is impeccable! My fig tree just started bearing copious quantities of fruit. Now I'm off to search for raspberries. 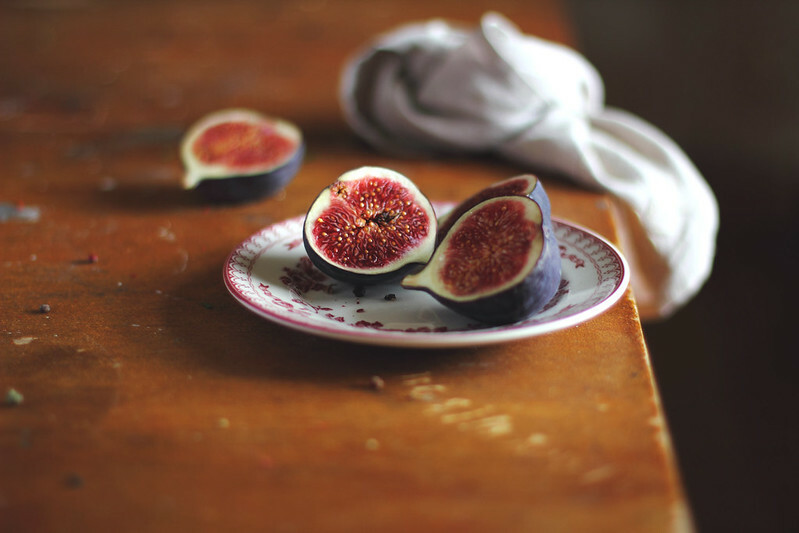 Do you have a fig tree? You're so lucky! Your own harvest is much better than the one sold at a local market. I love them all, so simple and so beautiful! Thank you a lot! I really appreciate your words.